I’m specializing in User Experience, with a passion for Web Performance, Research and Responsive Design. I was born in Latvia from Russian parents. It’s where I grew up and got my initial education. We moved to Italy with my mother in 1998 where i continued my studies in graphic design and multimedia. Now I live with my wife near Turin, in a region named Piedmont. The last 12 years I’ve been working as a UX Designer and Front-end Developer. From 2007 to 2014 I was Head of Digital in an Italian manufacturing company. I’ve been working also as a freelance collaborator for a variety of web agencies in Italy. I worked in remote since November 2013 to November 2016. Now I’m working on UX-related activities at Bakeca.it as Product Manager. Specializing in Responsive Web Design with a minimalistic and Mobile-first approach. I love WordPress and using it for building websites. I put my effort in sensitivity and responsibility for Usability and Front-end web performance optimization. 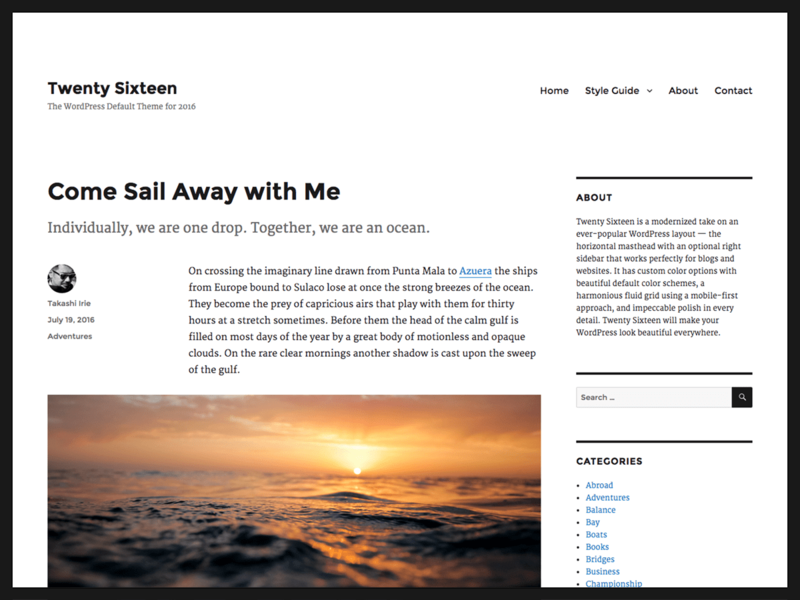 I love to build simple and fast websites that people like to use and helping theme to satisfy their needs. I have a strong preference to work in the close collaboration with graphic designers and other members in a multidisciplinary team, for not falling in the silos mentality. In my free time I like to contribute to WordPress, organize Meetups with my Turin Web Performance Group, travel and take pictures, collect vinyl records and old Soviet film cameras. Reading tech-books, learning and staying informed on the web technologies, design, marketing, productivity and self-improvement, are important and unbreakable habits for me. I’m fully supporting the “Open Culture,” that is based on trust & transparency, and I truly enjoy to follow people and companies with this mind set. Traveler. Photographer. Old Soviet Russian film cameras collector. Vinyl maniac. Productivity & Happiness grower. Open culture supporter. Installed WordPress for the first time in May 2007 for a personal photo blog. Now I’m using WordPress for a range of different small and big web projects. I’m engaged in the development of the Italian local communities and I started to contribute and give back to WordPress after the Contributor Day at WordCamp Europe 2015 in Seville. WordPress Meetup Torino & WordCamp Torino Co-organizer, Italian translator at #polyglots and Post-production / Editing / Moderating at #wptv (WordPress.tv).